Virtual Private Cloud lets you manage an isolated section of TDWS cloud, where you operate and use resources in a virtual network that you determine. You have complete control! Our Cloud Servers are truly redundant in every way. Hypervisors hosting your servers are connected to a centralized storage system that has redundancy in place at every point to avoid failures. 0 TDWS is the leader in cloud computing. Connectivity – that is one of the highlights with TDWS Virtual Private Cloud. Have yours connected to the internet, to your datacenter, to other VPC’s, based on resources that you need to expose publicly or keep private. Security – features as security groups and network access control lists, enabling inbound and outbound filtering at the instance and subnet level. Simplicity – Everything is quick and easy to manage in the TDWS VPC Console. Choose the best setup that is suited for needs, and everything will be created automatically for you. Virtual Private Clouds are slowly but surely becoming the standard in the industry. Because of it’s reliability and security, it’s no wonder that use cases are stacking up as time goes by. All administrative management is at your fingertips, the role of the admin is abridged, so you can focus on the most important task, creating your application. Create a simple web presentation or a blog, and further secure your website by creating security group rules, allowing the server to respond inbound HTTP and SSL requests, simultaneously banning the server from establishing outbound connections. This common use case uses the single public subnet only, and it’s a great start for many entrepreneurs. 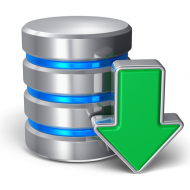 Strictly enforce access and security rules between databases, webservers, and app servers. Launch webservers as a publicly accessible subnet, app servers and databases in a non-public subnets. Databases and app servers can’t be accessed from the internet, but they can still access the internet via NAT instance for the purpose of updates and patches. The cloud is the best place suited for corporate apps, adding more computing capacity to your existing network by connecting the Virtual Private Cloud to the corporate network. You can seamlessly move your IT resources to the cloud without changing how your users access these apps, because your VPC can be hosted behind your corporate firewall. The backups are done periodically into a number of small instances. If the disaster happens in your datacenter, you can swiftly launch replacement compute capacity, to ensure work and business continuity. Upon the resolution of the disaster, your critical data is returned to your datacenter and it removes the instances that acted as a safety net, and are no longer required. At a fraction of a cost, enjoy full benefits of a disaster recovery site with TDWS Virtual Private Cloud. Our setups are automated. Just sign up now, and within minutes, you’ll have your login details. 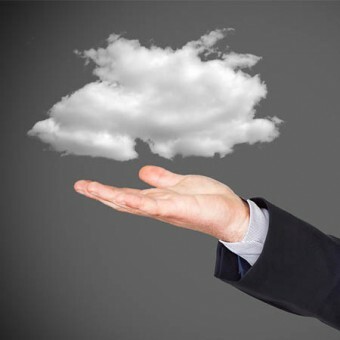 Every aspect of our cloud is redundant we guarantee you 100% cloud uptime. We offer you the ultimate flexibility of going over your resources when traffic or activity increases. Our tech team will be able to support you configuration regardless of the operating system you selected. The cost of each instance is kept at the lowest possible price considering all the redundancy you are getting with each instance. Every month you can decide to upgrade or downgrade the required resources and change billing to daily usage. We used only the best hardware to setup our cloud to guarantee you no failures. You can choose from a wide range of hosting panels such as cPanel, Direct Admin, Plesk. Only the best virtualization software have been used by our engineers to come up with this cloud solution.